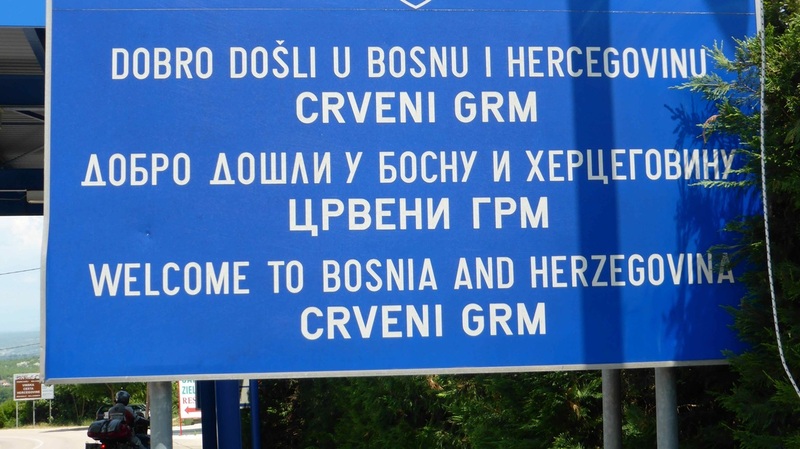 Rode to Mostar, after searching for the bike rego papers at the border, the first time we have been asked for them in europe. 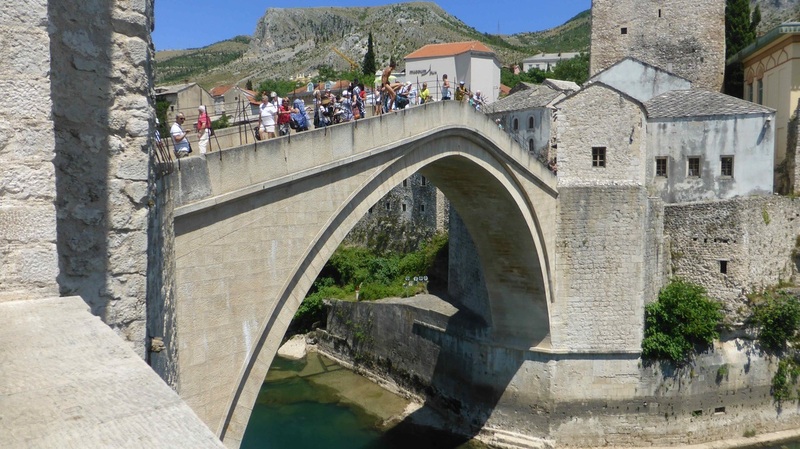 Mostar has an old city, with a famous bridge, and the area around it is now tourist central. Other parts of Mostar still show the scars of the recent war, with bombed out buildings barricaded off, and bullet holes still clearly visible on the exterior. We took a couple of photos and left, heading for Trebinje for the night. The GPS had a hissyfit on the way, taking us down farm tracks, and up over hills to nowhere, where we had to turn around and go back. Another road was a dead end, and we ended up asking a local who spoke no english, and rode along some dirt roads that weren't even on the maps. The compass said we were going in the right direction, so we followed them until we hit a road that was on the map. All good, the weather was nice and warm, but we were up in the mountains, so it wasn't too bad. We reached Trebinje, where we found a 3 bedroom apartment cheaper than a hotel room, so that was home for the night.